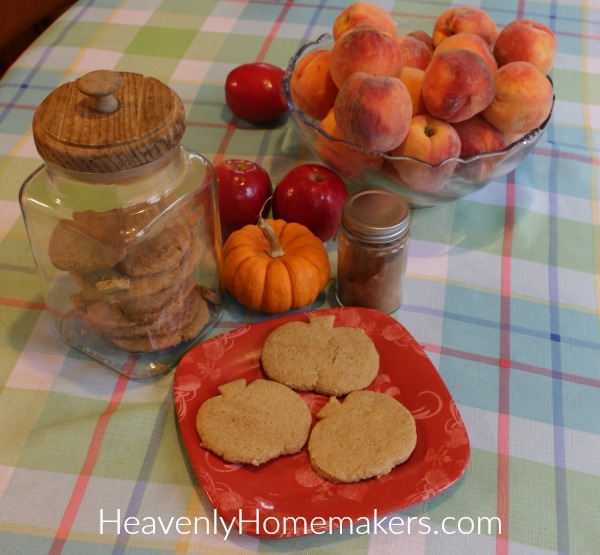 Allow me to introduce a new seasonal favorite: Easy Low Sugar Pumpkin Spice Roll-Out Cookies. 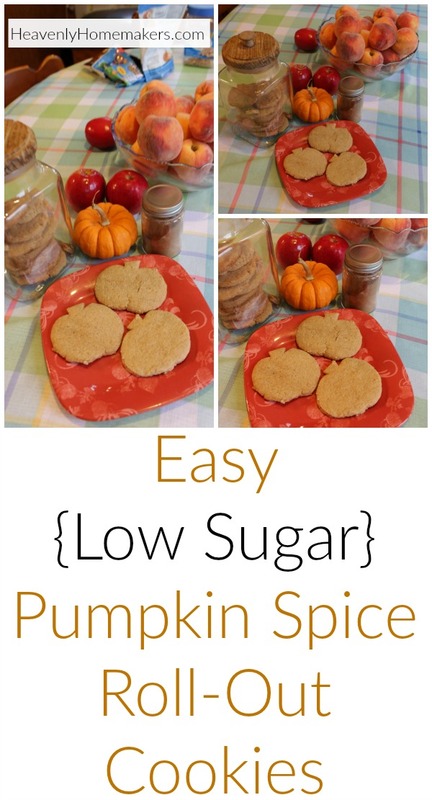 While I’ve shared that I just can’t get behind Pumpkin Spice Coffee (typing it actually makes me shudder just a little bit), I most certainly enjoy making many Pumpkin Spice treats this time of year – to eat while I drink my (plain, non-pumpkin-spice) coffee. If my house smells of nothing but Pumpkin Spice from now until Christmas, there will be much joy in the holiday season. Of course, seeing as I live with a houseful of teenage boys, my house not only smells of Pumpkin Spice, it also frequently smells like Old Spice. And old shoes. Annnnnd cute girls. It’s an interesting combination, you can be sure. One that I am so very blessed to experience. What a great God we serve! Do you see His goodness all around you? Even in the midst of struggle? Even throughout the daily grind? Even during times of hardship and devastation? I love God. All that He offers is good, and all good comes from Him. I am continually in awe of how He provides for our spiritual needs, which makes all else fade. What does this have to do with Pumpkin Spice Cookies? Ha. I don’t know. Lately I find myself working my way through all the day-to-day of life, which includes this houseful of teenage boys (and the cute girls that stop by) and in the midst of the cookies and the shoes and the vacuuming and the piles of mail, I sit in wonder at the peace God is revealing to me though His Spirit. And in the Pumpkin Spice Cookie – well – there is joy. Especially when there is a great cup of coffee (sans Pumpkin Spice) to go with it. Cream together melted butter and sugar. Add egg, vanilla, pumpkin spice, and sea salt. Cover and chill dough for 1-2 hours. Roll dough to approximately ¼ inch thickness between layers of parchment paper or on a well-floured surface. 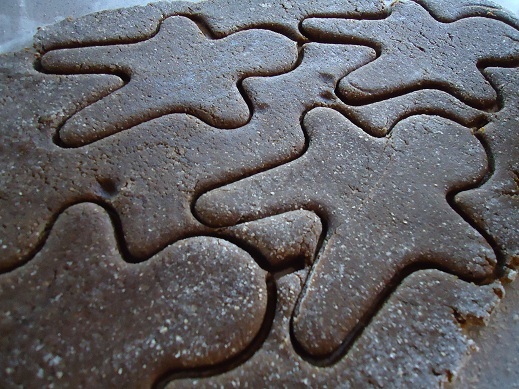 Cut rolled dough with cookie cutter shapes and place cut-outs on a baking sheet, ½ inch apart. Bake in a 350 degree oven for 7-10 minutes or until cookies are lightly browned. I’d love to hear about the joy of the Lord you are experiencing right now. Struggling to see His goodness? Look around at what you have, and I’m not talking about your stuff. See His goodness in the details of your life. In joy, in pain, in suffering – God is good. His mercies are new every morning. And sometimes, they take on the form of a Pumpkin Spice Cookie dunked in coffee. 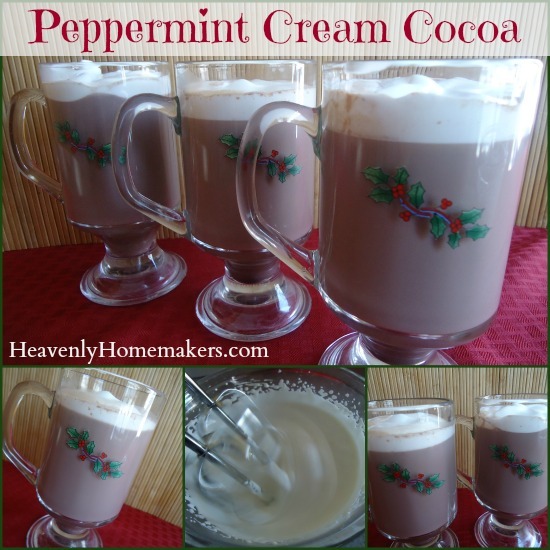 I’ve shared nine years worth of holiday recipes here at Heavenly Homemakers. Nine! I can’t get over how quickly my boys turned into men. I was there, and now I’m here, and I’m not sure how it happened. With love, prayer, tears, and lots of green beans, no doubt. 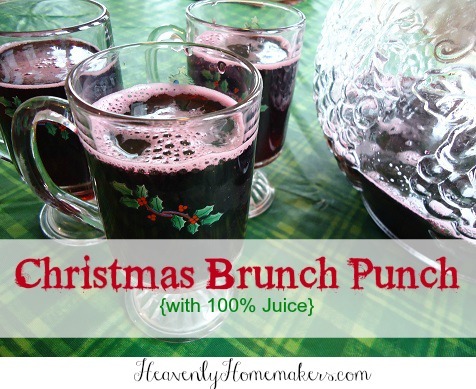 Today I decided to share 30 of the recipes that I’ve posted through these many Christmas seasons. 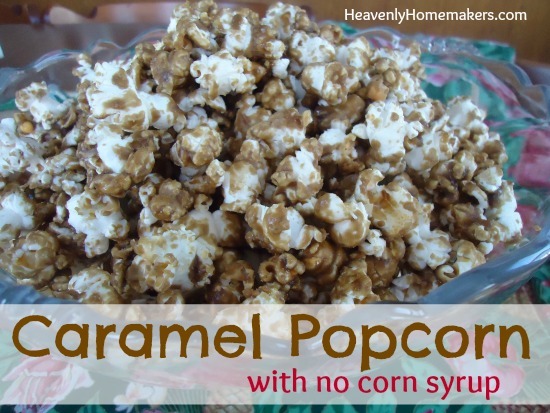 You can bet the recipes that used more sugar were from my earlier blogging years! Slowly but surely, we’ve cut back on sugar content in our treat recipes. Somehow, the boys have still grown and lived to tell about it. If you come across any of these older recipes and you think, “Hmm. I wonder if I can cut the sugar down in any of these?” the answer is most likely yes! The treats will still be delicious and your family’s Christmas will still be merry. Please leave a comment to tell me how long you’ve been reading here! 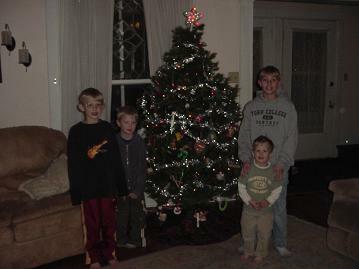 Were any of you around when my boys were as little as that first Christmas picture? Some might say that Christmas desserts are treats that should not be messed with. 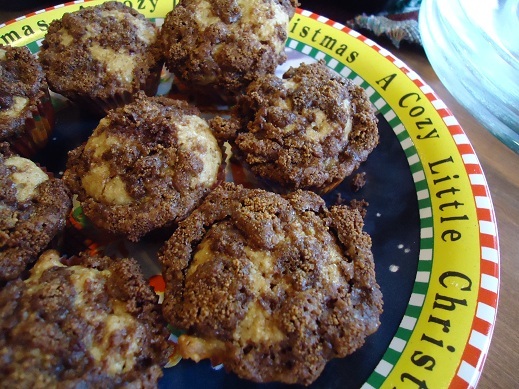 Perhaps whole wheat flour does not belong in a Christmas cookie. 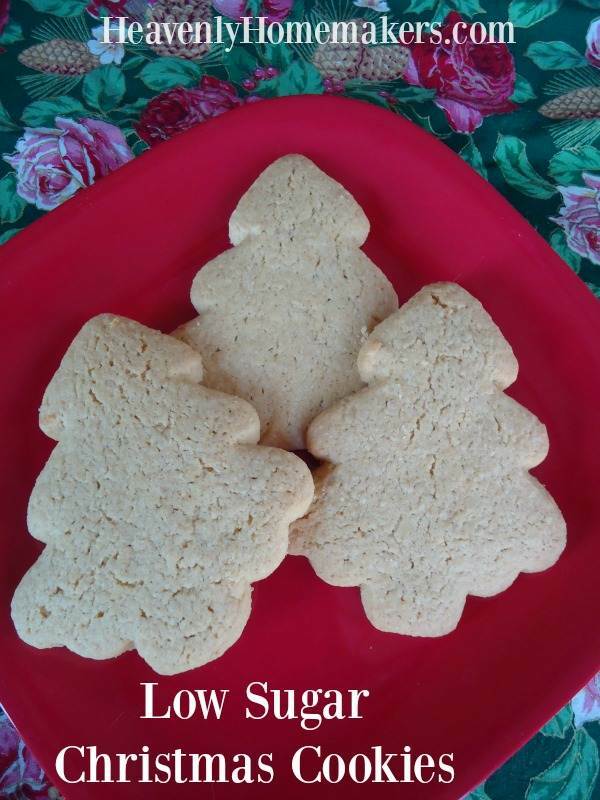 Maybe “low sugar” should not be included in a Christmas cookie title. It’s a treat, right? Can’t we just leave it well enough alone? But the more I experiment with cutting down the sweetener in my baked goods, the more I’m discovering that treats still taste like treats even with the sugar cut in half or more. Wait. I don’t know how to write that. “…with the sugar cut in half or more.” Or should it be “…with the sugar cut in half or less.” I’m talking about cutting out even more than half of the originally called for sugar. Less sugar. Cut it by more than half, so that it’s even less. That is what I’m trying to say. Sometimes writing good sentences is so hard. Who decided that fractions would be smaller every time their bottom number gets bigger? Do you know how hard it is to explain to a small child that 1/8 is bigger than 1/16?? It’s the fraction inventors that are making my sentence writing so complicated right now. Just for that, I’m not giving the fraction people any of my cookies. They can figure out their own half or more or less sugar fraction in their own cookie recipes. 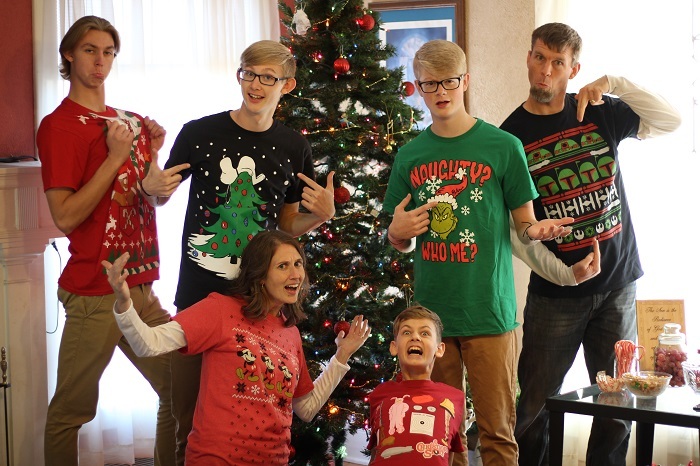 Merry Christmas, fraction people. Good ol’ Santa. He totally gets it. If you’d like to frost your cookies but keep them low sugar, I recommend this stevia sweetened frosting. This frosting is not like regular powdered sugar icing. It’s delicious on these cookies, but does not harden or hold up well for the long term. I recommend only frosting a few cookies at a time, as needed. I use the term “as needed” loosely because we are talking about cookies here. Although these are low in sugar so the half or more or less sugar fraction does the lessen the guilt. It seems like all week long, I’ve been traveling back in time to the days I was a little girl during the Christmas season. 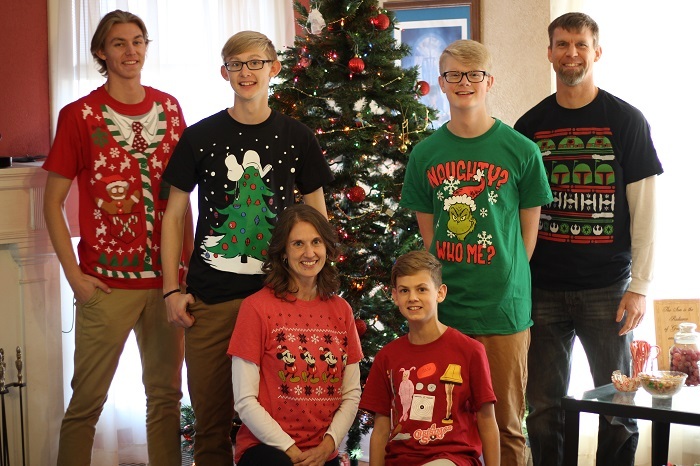 Listening to the Muppets Christmas CD has been such a fun blessing as I remember special Christmas traditions with my mom. And now, I’m thinking about my grandma. Why? 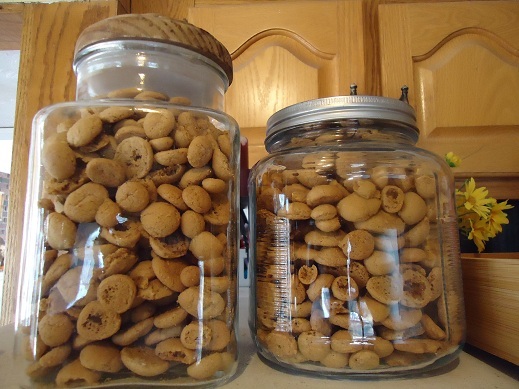 Because every year she made oodles of little Peppernuts that we would munch on. 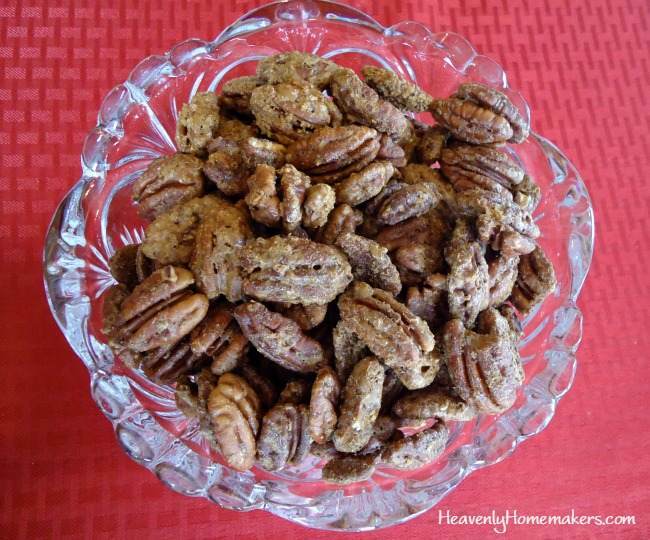 These cookies are a little bit time consuming to make, but they make a large quantity for you to enjoy. 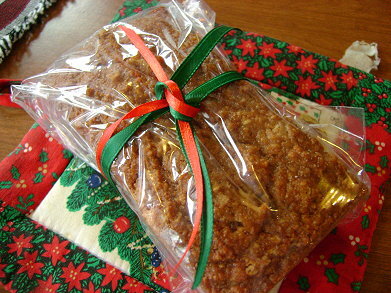 They are also wonderful to package up in baggies to deliver to others. 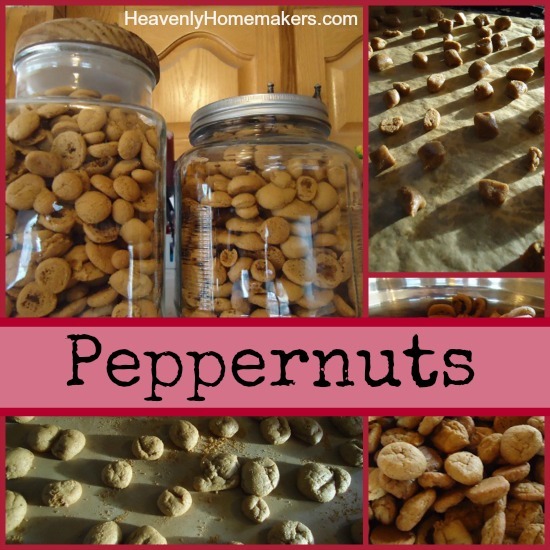 Tell me if you’ve had Peppernuts before! 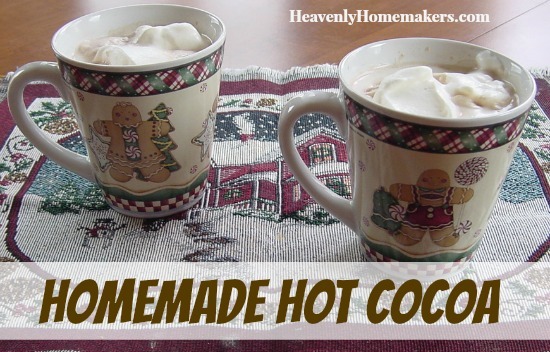 And be sure to check out the recipe here. What with all the butter I hear you’ve been going through lately, it sounds like there’s a lot of fun Christmas baking going on out there! I actually haven’t even started doing my baking yet, but I will start soon. Oh yes, the butter and sucanat are going to start flying around here. 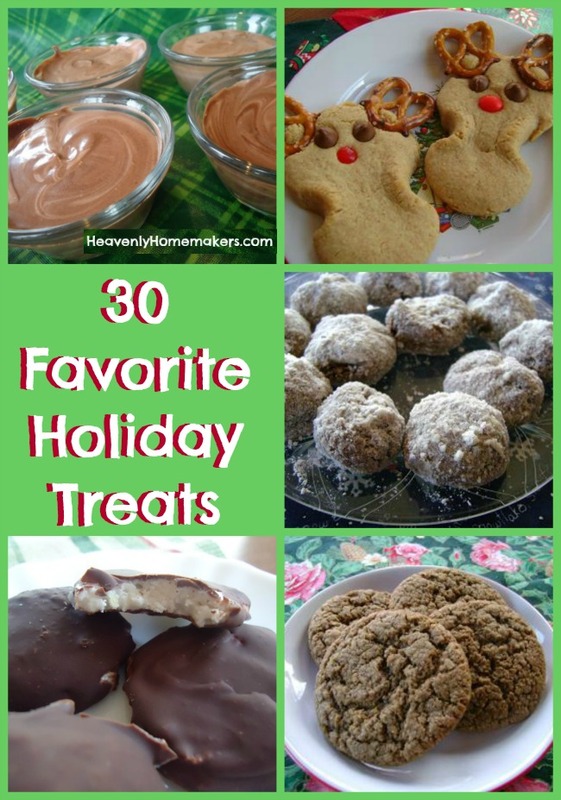 As I began to make my baking plans, I put together a list of some of my favorite holiday cookies and treats. 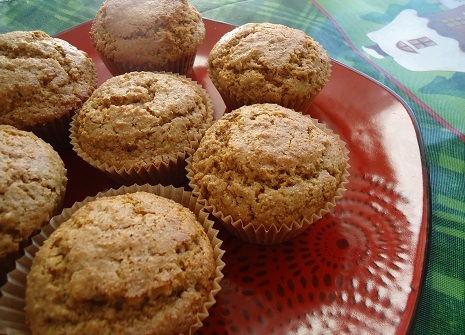 All of these are made with healthier flours and sugars (usually honey or sucanat). I won’t be making all of these treats, but I’m really hungry right now, so I just kept adding to the list. What’s on your Christmas baking list this year? It may be that I’ve gone a little loopy with all of the recent Christmas preparations, but for some reason I got really hung up on what I should call these cookies. Are they Gingerbread Men? 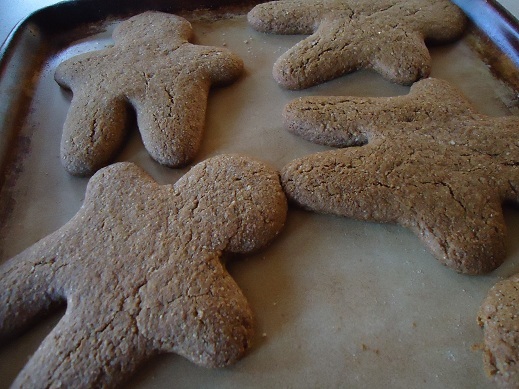 Or are they Gingerbread Boys? 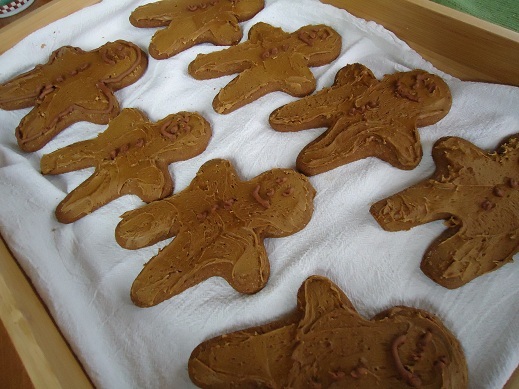 But then, I didn’t want to leave out the girls…so maybe some of them should be called Gingerbread Girls. Or maybe I just go with the politically correct name and call them Gingerbread People? Cream butter, sucanat and molasses together. Add eggs, vinegar, baking powder, ginger, baking soda and spices. Stir in flour and mix well. Cover and chill dough in the refrigerator for 2 hours (more is fine). Roll out dough on a well floured surface to about 1/8 inch thickness. 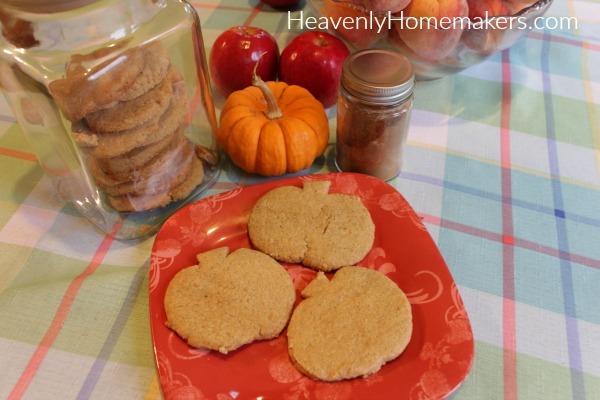 Use a cookie cutter to cut into desired shape. Bake cookies about 1 inch apart on a cookie sheet in a 375° oven for 5-8 minutes. 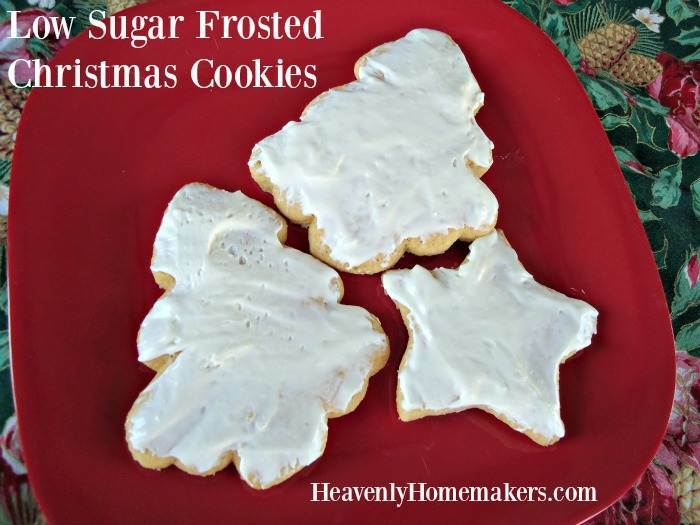 I recommend spreading Sucanat Powdered Sugar Frosting on the cookies. I had a little bit of Chocolate Fudge Frosting leftover in the fridge and used that for faces and buttons. 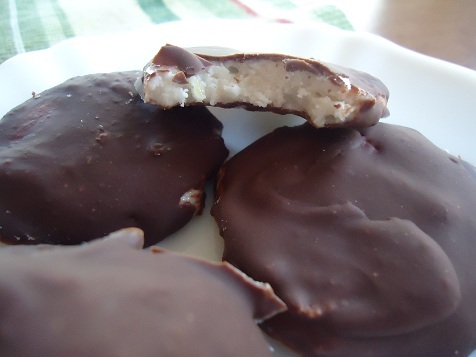 These simple cookies are a hit. Fun to make…fun to eat. 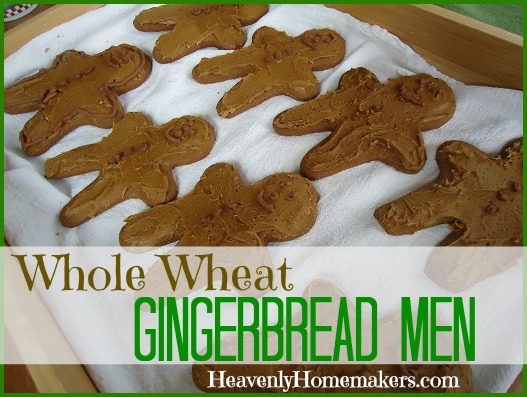 I like that they are made with honey and whole wheat. And they really don’t take much time at all. Stir together butter, peanut butter and honey. Add egg, baking powder, baking soda and vanilla. Mix in flour. Chill dough for about an hour. Roll dough to 1/4 inch thickness on a well floured surface. Cut circles using a small drinking glass. Place on cookie sheet. Use fingers to squeeze the circles in the middle. 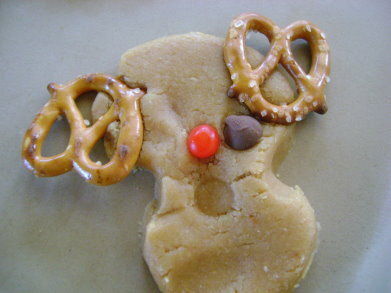 Place two pretzels at the top for antlers, two chocolate chips on for eyes and one red hot candy for a nose. Bake for 10 minutes at 350 degrees. Allow reindeer to cool 2-3 minutes before removing from cookie sheet. Allergic to peanut butter? 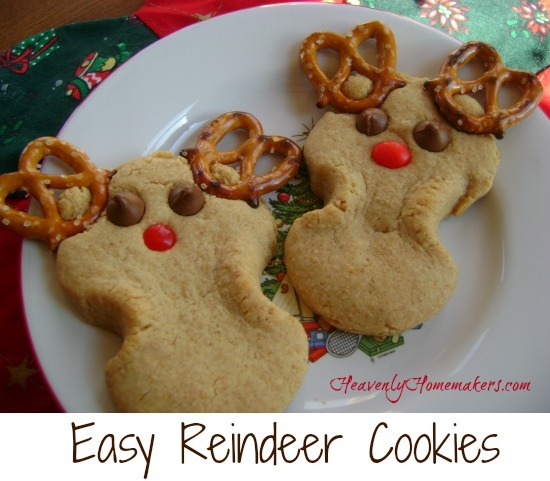 Simply make your favorite sugar cookie recipe and create reindeer that way instead! I just had to show you Malachi’s attempt at a reindeer. He sure did have fun helping! 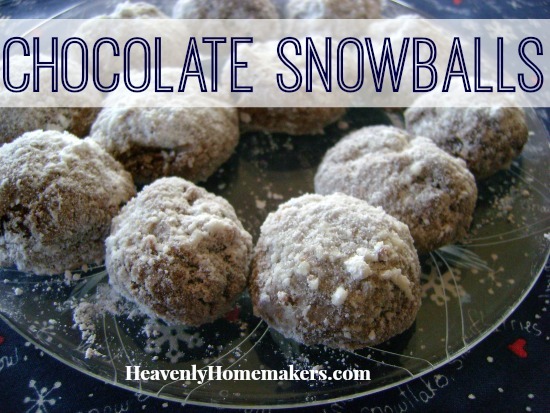 Here’s the promised Chocolate Snowball recipe. I like that these aren’t super rich or heavy…just kind of like a little ball of chocolate cake. Cream butter, rapadura and cocoa. Add milk and eggs and stir well. 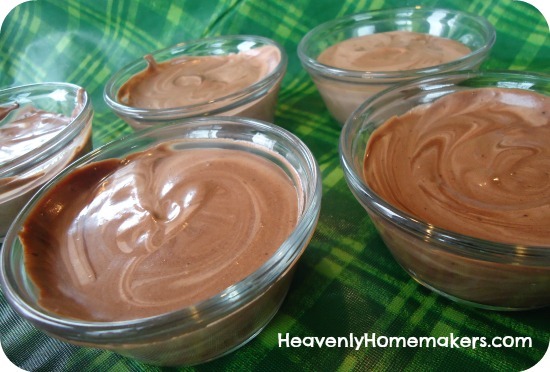 Mix in baking powder, salt and vanilla. Stir in flour. Chill dough for at least two hours. 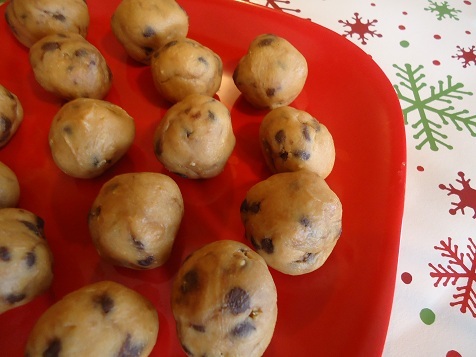 Roll dough into teaspoon sized balls and place on cookie sheet. Bake at 350 degrees for 8-10 minutes until the tops are cracked slightly. 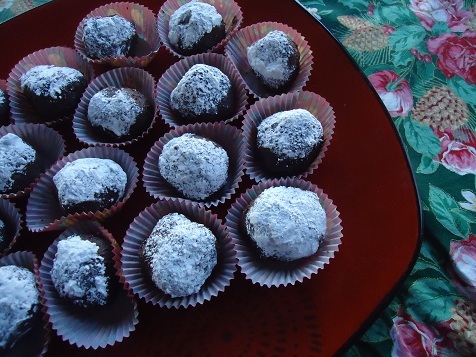 Roll balls immediately in powdered sugar. 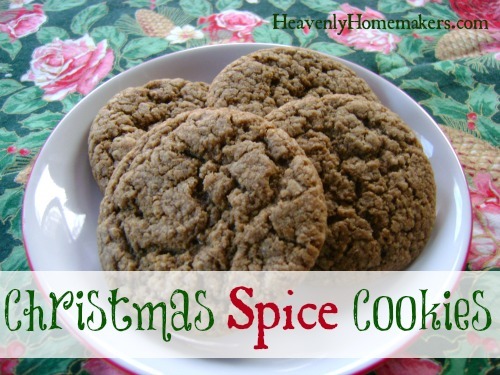 Be sure not to miss the recipes for Christmas Spice Cookies and Orange Cream Cheese Cut Out Cookies! I have decided that these are my favorite Christmas cookies. And this recipe makes a lot of them…which is why it’s a good idea to have lots of people in mind to share them with!! Because having them just sitting around the house screaming at me to come eat them is a bad idea. I’d like to give in to the notion that since they have orange juice in them, they’re good for me and just packed with vitamin C. Oh, if only. Cream butter, cream cheese and sugar. 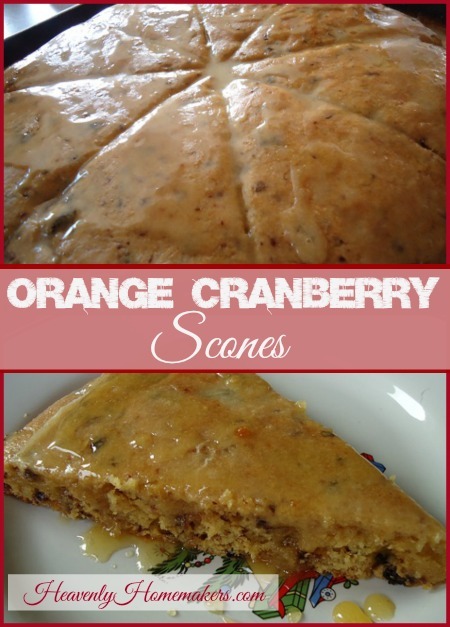 Add eggs, baking powder, vanilla, orange peel and orange juice. Stir in flour one cup at a time until mixed well. Chill dough for about 2 hours. Roll dough to 1/4 inch thickness, cut with cookie cutters and bake on a cookie sheet for 10-12 minutes at 350 degrees. Allow cookies to cool completely before frosting. Cream together cream cheese, butter, vanilla and orange juice with beaters. 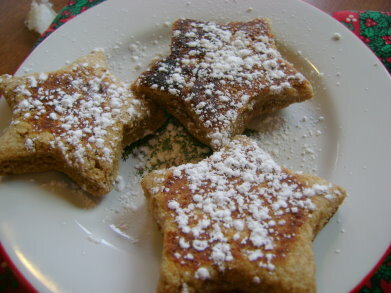 Gradually add powdered sugar. If you’re wondering if this recipe is worth going to all the trouble of actually shredding orange peel (a step that takes a total of about 20 seconds), it is. If you’re wondering if I’m serious about making them, and then giving them away as quickly as you can so that you won’t eat too many of them, I am. 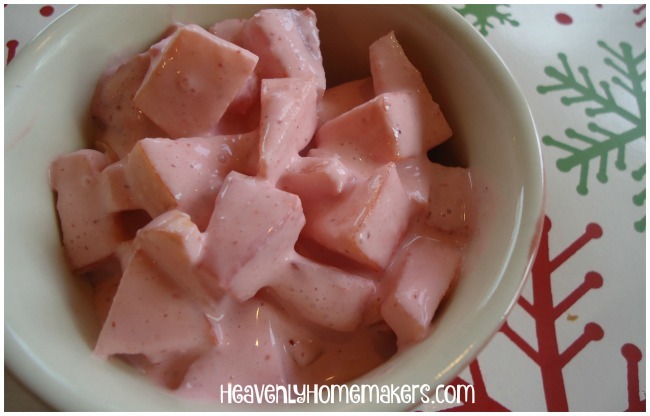 And if you’re wondering if there will still be other fun Christmas recipes soon, there will. It’s Beginning to Smell a Lot Like Christmas…Cookies! My favorite part of holiday baking: I LOVE THE WAY CHRISTMAS BAKING MAKES THE HOUSE SMELL!!! 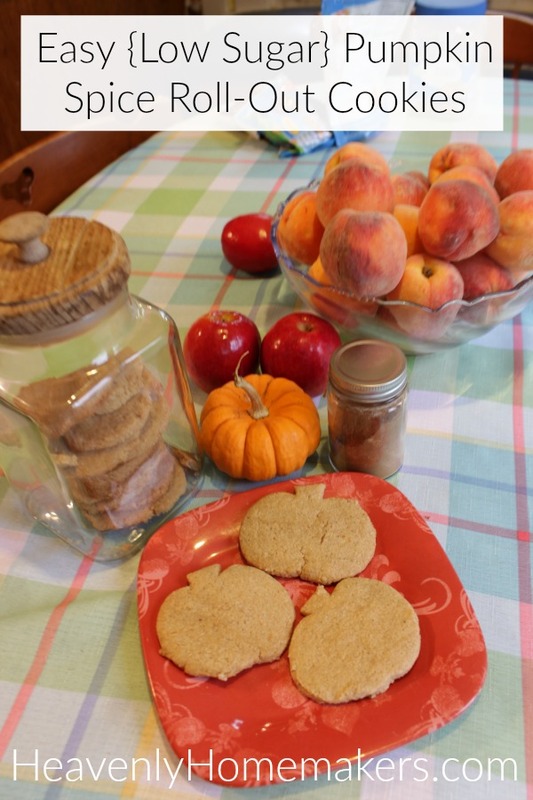 I’m planning on baking up quite a few treats in the next few weeks to share with neighbors and friends…so be looking for several new recipes coming up here!!! 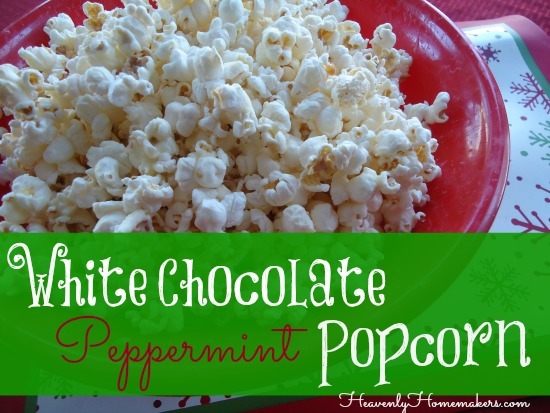 The first recipe I’ll share is one that smells just like Christmas!! MMMmmm!! It's Beginning to Smell a Lot Like Christmas...Cookies! Stir together melted butter and sucanat. 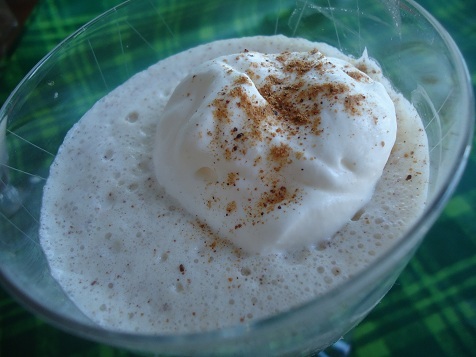 Mix in egg, cinnamon, baking soda, vanilla, nutmeg and cloves. Add flour gradually until mixed thoroughly. Roll dough into teaspoon sized balls. Place on cookie sheet 2 inches apart. 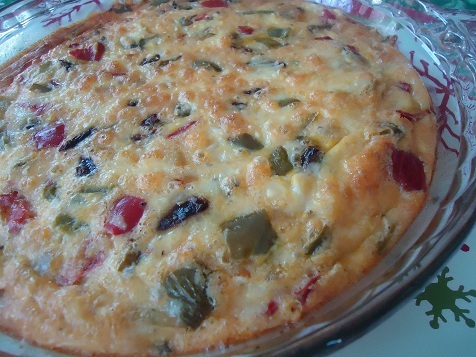 Bake at 350°for 10-12 minutes. 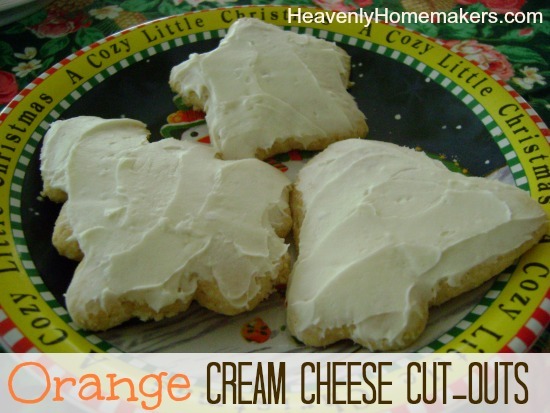 Upcoming cookie recipe: Orange Cream Cheese Cut-Outs!! Possibly my favorite! P.S. Don’t fall out of your chair, but some of the recipes I’ll share might contain some compromising ingredients like powdered sugar and (gasp!) sprinkles. What’s Christmas without an occasional red and green sprinkle?? So, what are your favorite kinds of Christmas cookies??! !